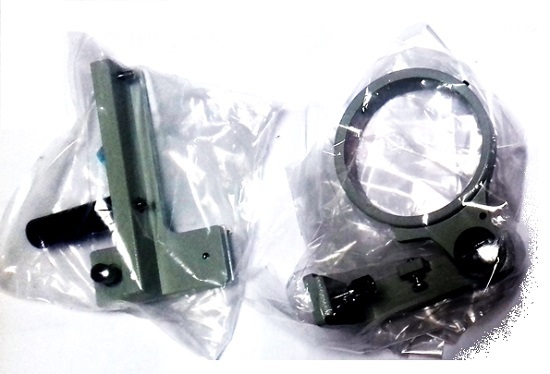 Some people call it scope lens bracket but it is also known as scope lens holder. Originally this is made by Elmo for Elmo 16 CL and Kodak CT1000 projectors. But someone in UK can modify it to be used for other projectors too. This is a new old stock (NOS) item. 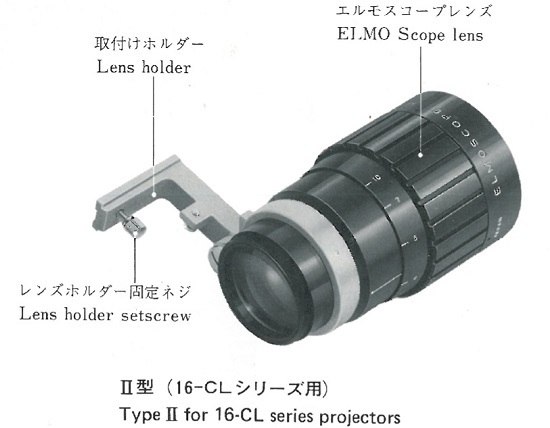 The bracket/holder will fit to the lens with 52mm rear barrel diameters such as Elmoscope I, Elmoscope II, Sankor 16D, etc. 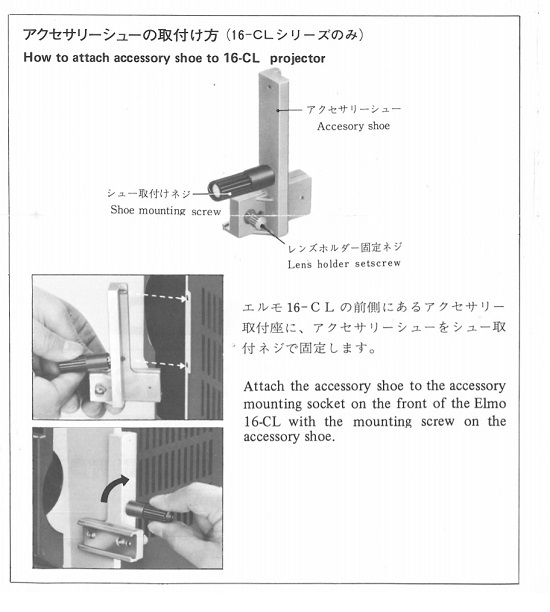 It is made of steel not nylon which is the current bracket made with the 3D machine. So it is very sturdy. This is a rare item in new condition. I live in New Caledonia, and currently have 4 brackets/holder for sale. Shipping will be done from New Caledonia. It is less than 100 grams, so it won't be expensive. 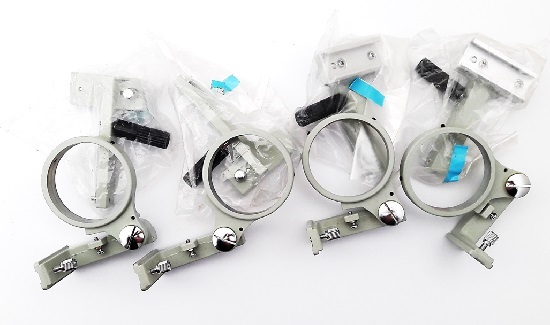 I have one bracket already in the UK now and it is also for sell. So if a member from Europe wants to buy, it will be sent from the UK and shipping is free. Payment via paypal or Western Union/Money Gram. You can see from the above pictures that the benefit of this bracket, i.e it can be swung out when you don't need it, while the lens is still on the bracket. 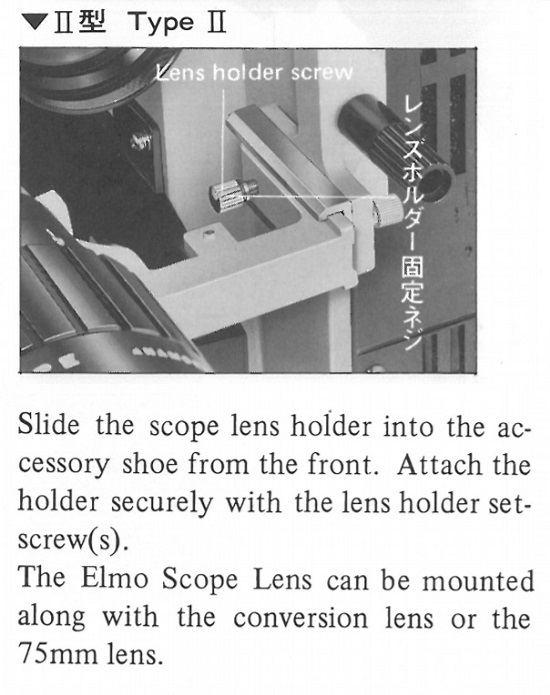 This means the interchange projection between flat and scope print can be done as soon as you want it without need to re-calibrate it (refocus). Something cannot be done if you are using a permanent bracket (need to be screwed onto projector's body) or a universal (stand alone) lens holder. Today, a 3D lens holder (made of nylon) is €56 + €29 (adapter) = €85. A non-3D lens holder from Wittner is even more expensive, i.e € 149. For a universal/general scope lens holder is €110. So my price for an original scope lens bracket / holder, £68 or €78 is quite cheap. Numbers are limited, so first come, first served . Just to update, there 2 brackets are now sold. Left 2 brackets with me and one bracket in the UK for European buyers with free shipping. 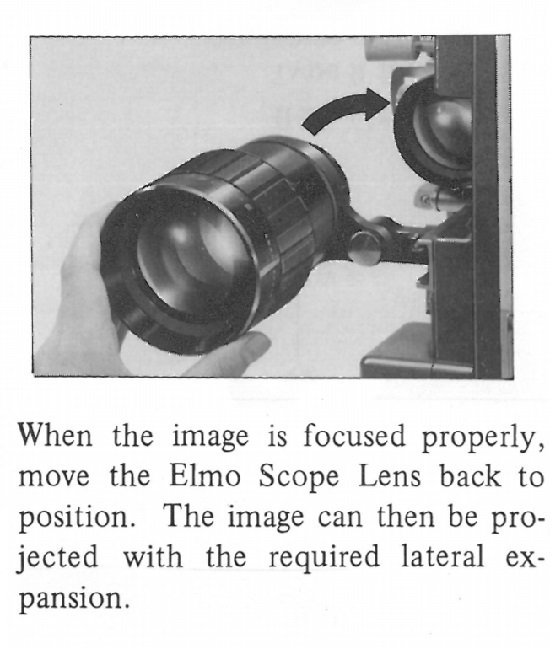 I have one such bracket which originally came complete with an Elmo anamorphic lens with an Elmo 16CL. I can certainly recommend it. Another update, one bracket was sold today. So leaving 2 brackets left now. One more bracket was sold yesterday. So basically they were all sold out. But I just received another batch of this original bracket. Will let you know when they arrive in my hands.